A representative claiming to be from PSE&G calls an unsuspecting resident or business from an 800 number and states they are behind on their bill. The representative states to the victim that an electric unit is in route to turn off their service unless the bill is paid in full. The victim is then asked to call the 800 number provided and speak with a representative so that payment can be made over the telephone. A time limit is usually given to the victim, 30 minutes approximately, so that payment can be made placing the victim in fear of losing power. Once payment is made over the telephone the call is terminated leaving the victim with the loss. Anyone receiving this type of call should not engage the person in conversation or provide any payment method over the telephone. A call should immediately be placed directly with PSE&G to confirm the validity of the payment request. 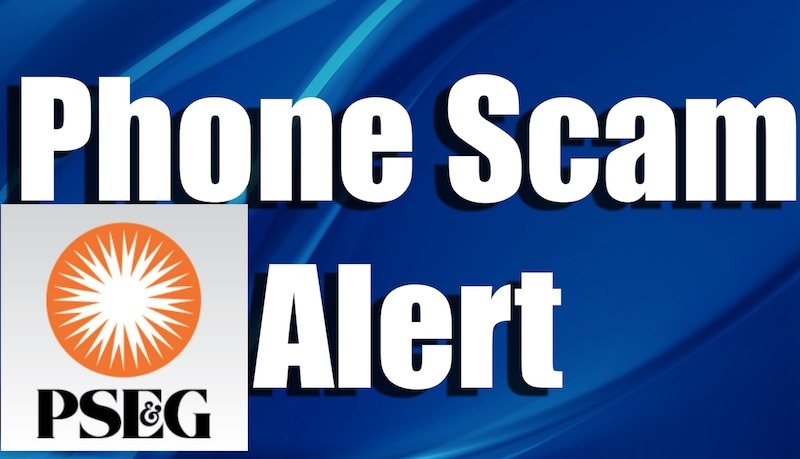 There have been reports statewide about the PSEG telephone scam. There have been different variations with payment request methods. Some callers ask the victim to pay using pre-paid visa debit cards or Green Dot cards which is another pre-paid card form. They can be reached via email at PSEG-BAandR@pseg.com or telephone 1-800-350-PSEG (7734). This scam is not unique to the City of Hoboken. In any case where a service is requesting payment be made using any type of prepaid debit card should immediately raise a red flag about the validity of the call.